The below pictures are from the web. If you click on them they’ll take you to the website they’re from. I’ll post pictures of my playroom soon. It seems to be ever evolving so I’m never satisfied with it. 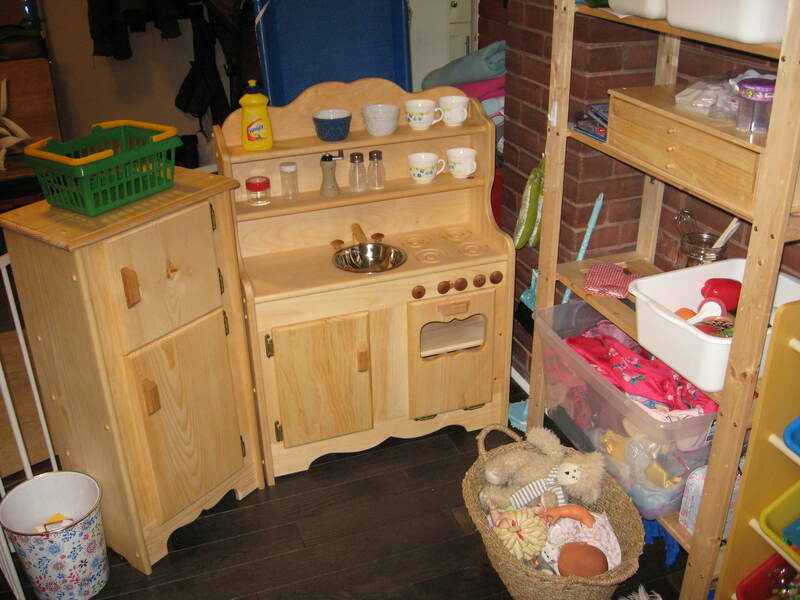 The Reggio Emilia approach to education views the environment as the third teacher. 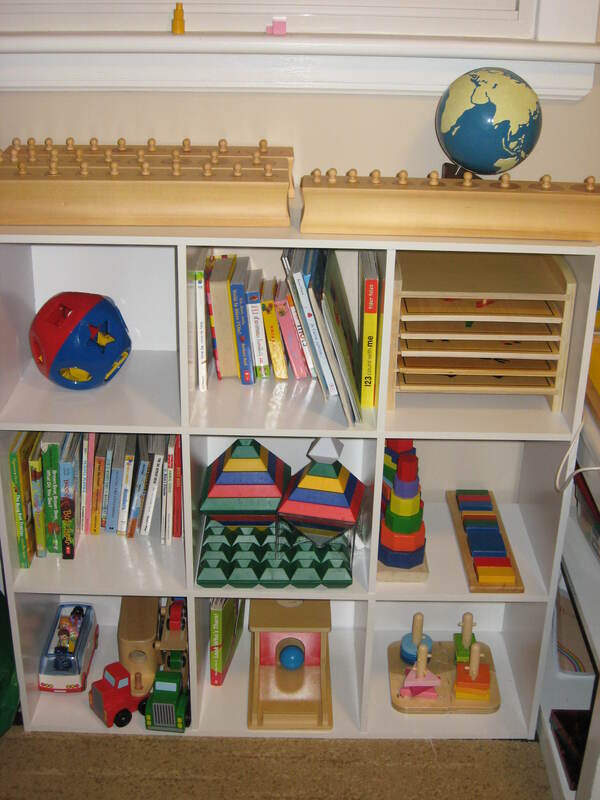 Maria Montessori also emphasized the environment as an important part of learning. 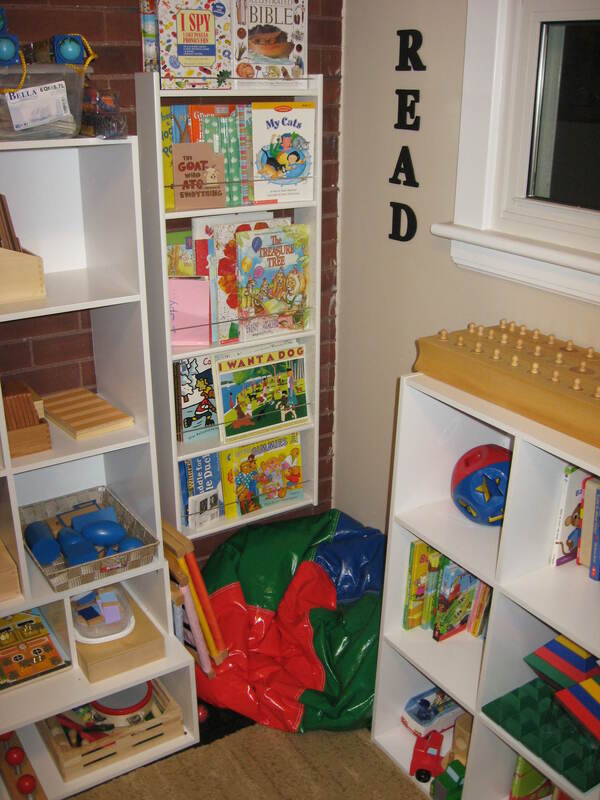 There are several principles I think are important to consider when planning your playroom. Relaxing: I don’t like when a playroom or classroom is full of bright, contrasting colours, posters everywhere, colourful mats, etc. It’s just too over stimulating. A child can’t focus in such an environment. 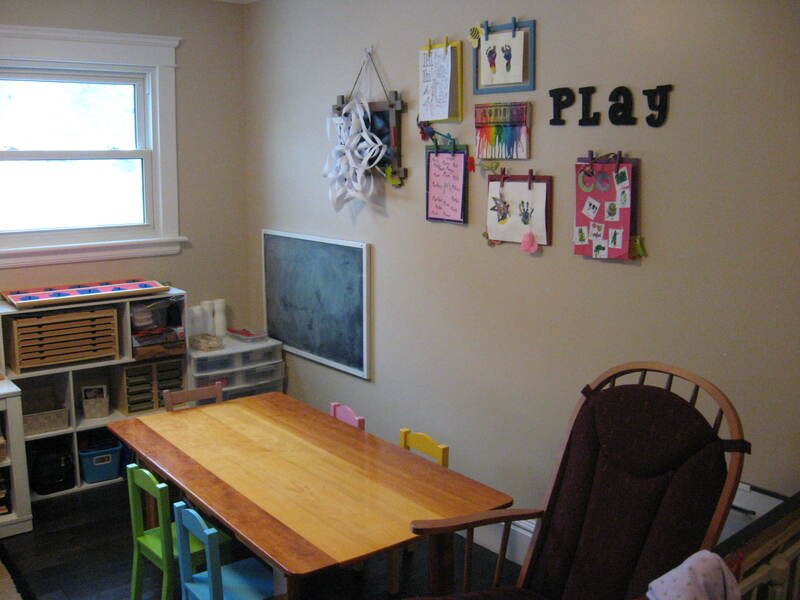 The playroom should be soothing, relaxing and appealing. I believe children have an innate sense of style so decorate in a way you’d decorate other rooms of your home. Paint the walls in a soft, pale colour. Pink has been shown to be soothing. A soft white, neutral beige or a pale blue are good choices. Decor should be simple too. You can use colour here, but don’t over due it. The decor should complement, not distract. Flooring, the same, not over colourful or stimulating. You want the materials to be the focus, not the decor. And don’t forget a comfy corner for reading or resting. 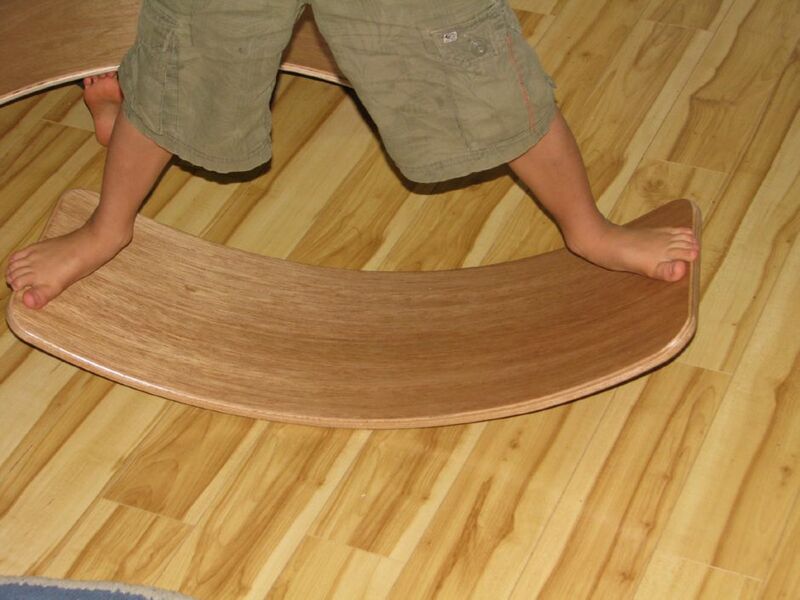 Accessible yet safe: The room should be designed for children. Low shelving and child sized furniture. 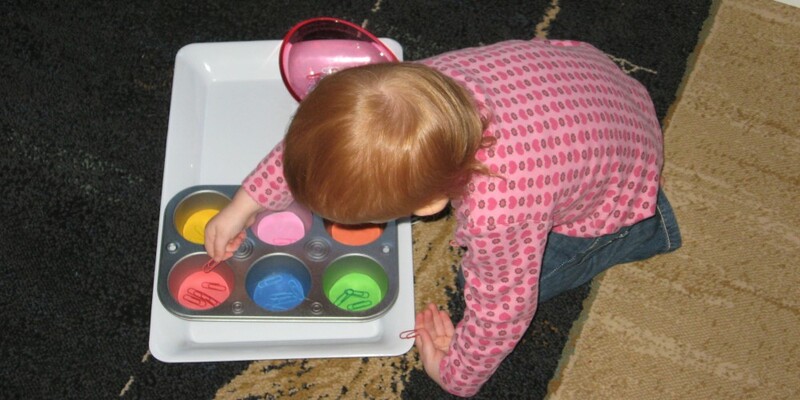 The child should be able to reach and take out the majority of the toys, materials, and craft supplies themselves. 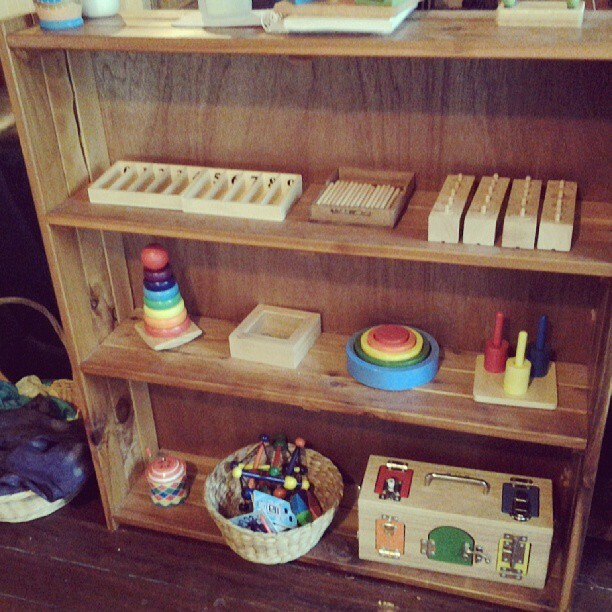 You may need to have some things out of reach, but keep as much as you can available to your child. However, keep safety in mind. 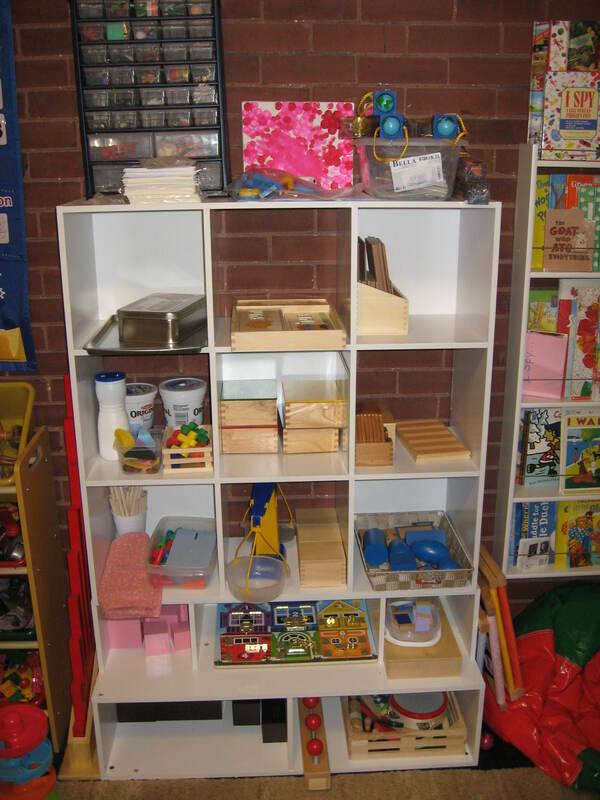 Tall shelves should be braced so they won’t tip, avoid sharp corners, plugs should have covers, and if you have young children, toys and materials that are accessible should be safe. Simple: Limit the toys. Does your child really need 20 Barbies, 50 dinky cars, 100 stuffed animals? Probably not. Get rid of the excess and try to limit things to a few, quality toys. 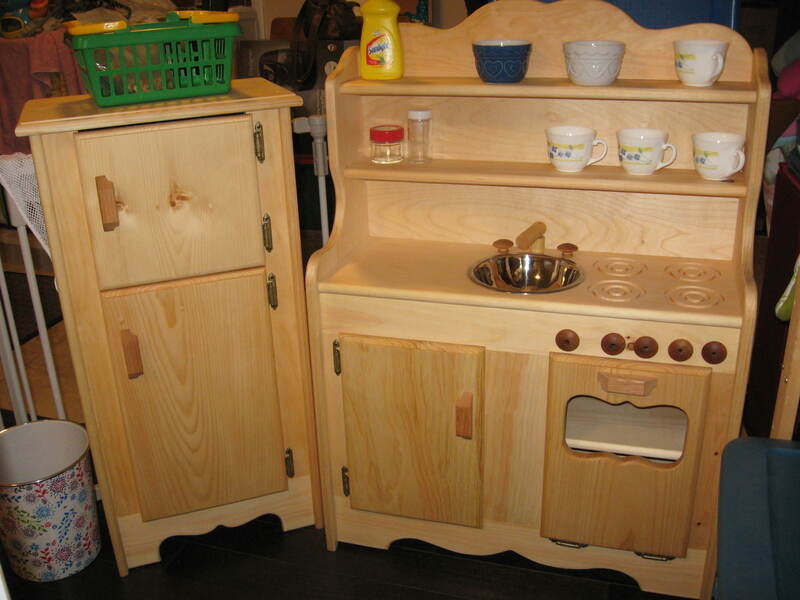 See toys as an investment in your child’s development. 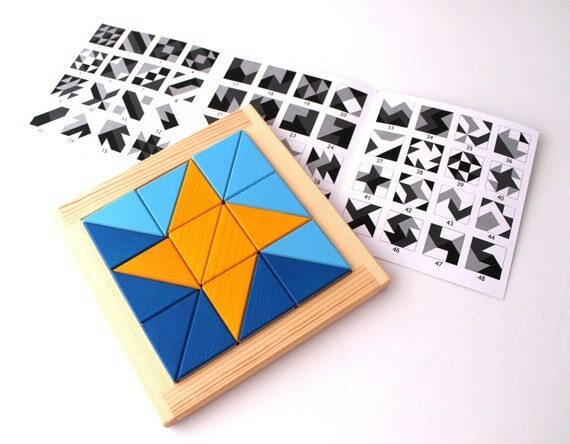 Focus on toys that teach and encourage learning. 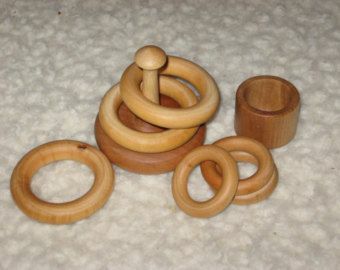 Also toys for imaginative play and open ended toys. Limit noisy, battery operated toys. You can also rotate toys. 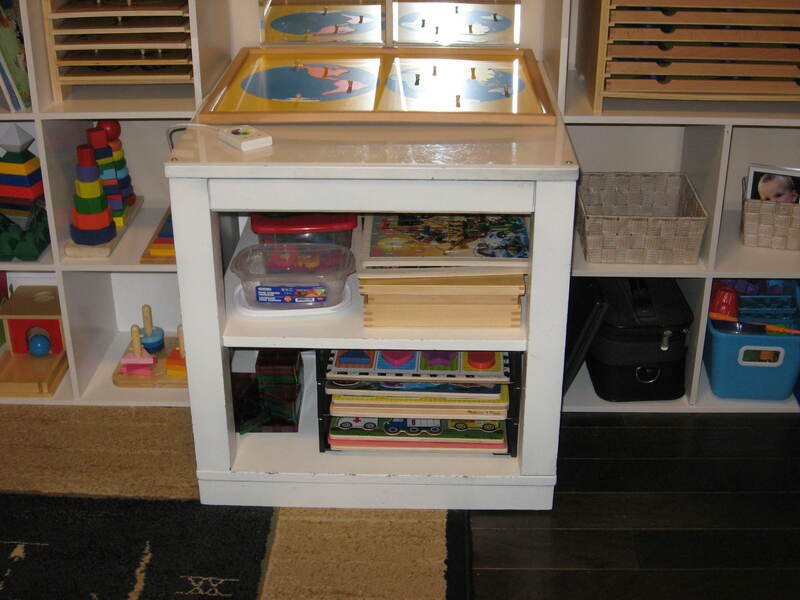 This keeps things interesting & leaves more room for organization. Organized: And organized environment leads to an organized mind. A place for everything and everything in it’s place. 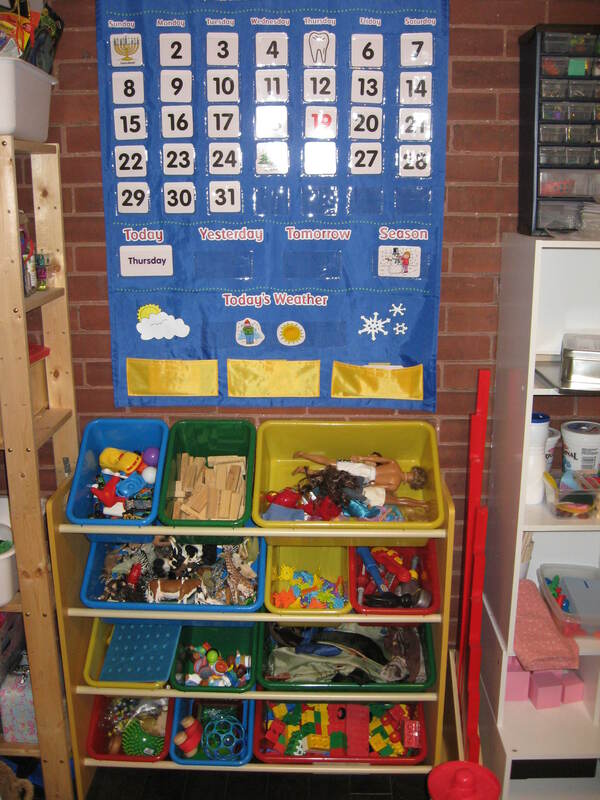 Organization allows your child to see what materials are available to them. 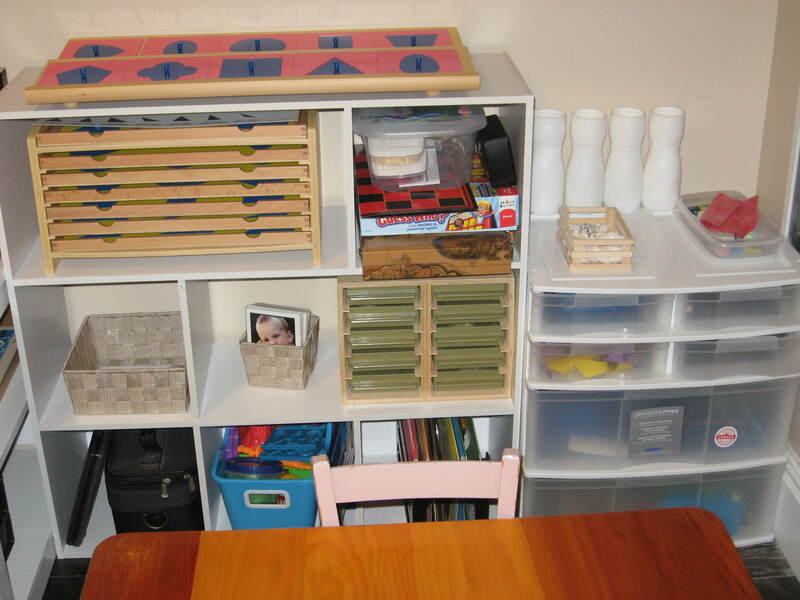 Don’t cram the shelves, invest in organization aids such as shelves, baskets and containers. Teach your child to put away a toy in the right place before taking another out. 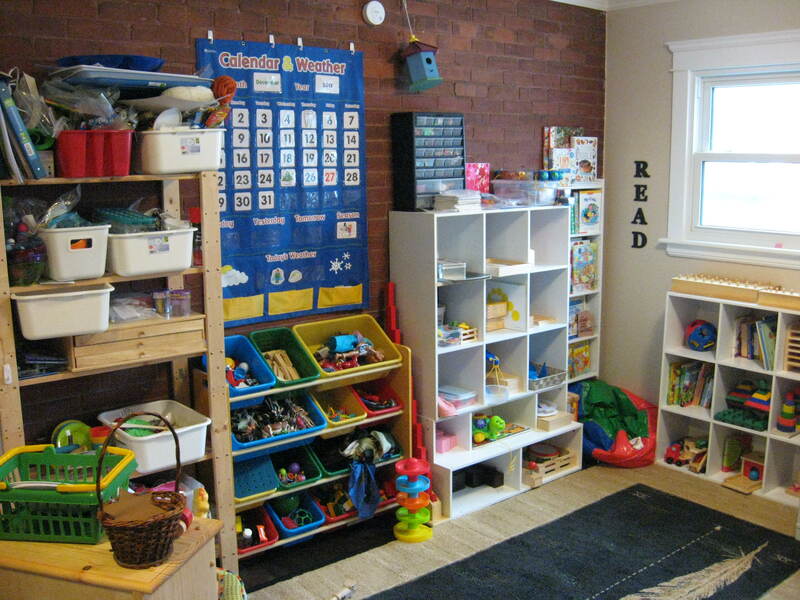 Having a clean, organized environment encourages your child to respect their playroom and toys and to absorb these qualities themselves. 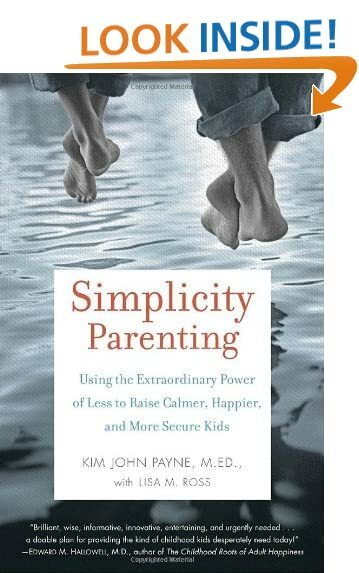 It also helps reduce behavior problems due to over stimulation and frustration. 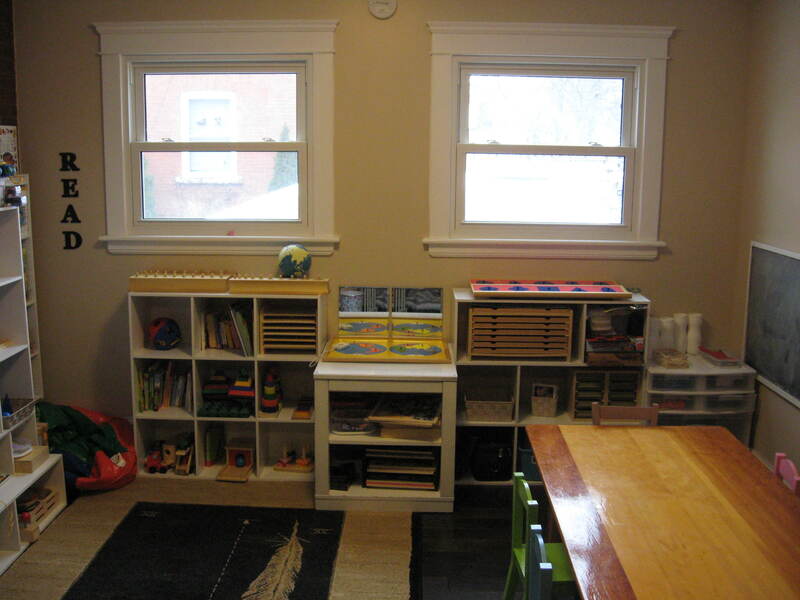 Natural light: Your playroom should be well lit with natural light. If your playroom is in the basement, for safety reasons there should be windows but you can use mirrors to increase the natural light. Don’t use florescent lights. Use indoor lighting that isn’t harsh on the eyes.